Select the data, right click on it then select Copy option. 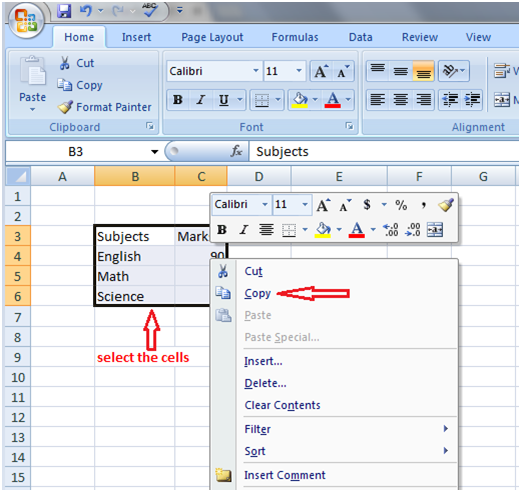 Now select the cell where you want to paste the data then right click on it and select Paste option. After selecting the data, you can also press Control+C to copy and Control+V to paste the data. To undo the changes you can press Control+Z.